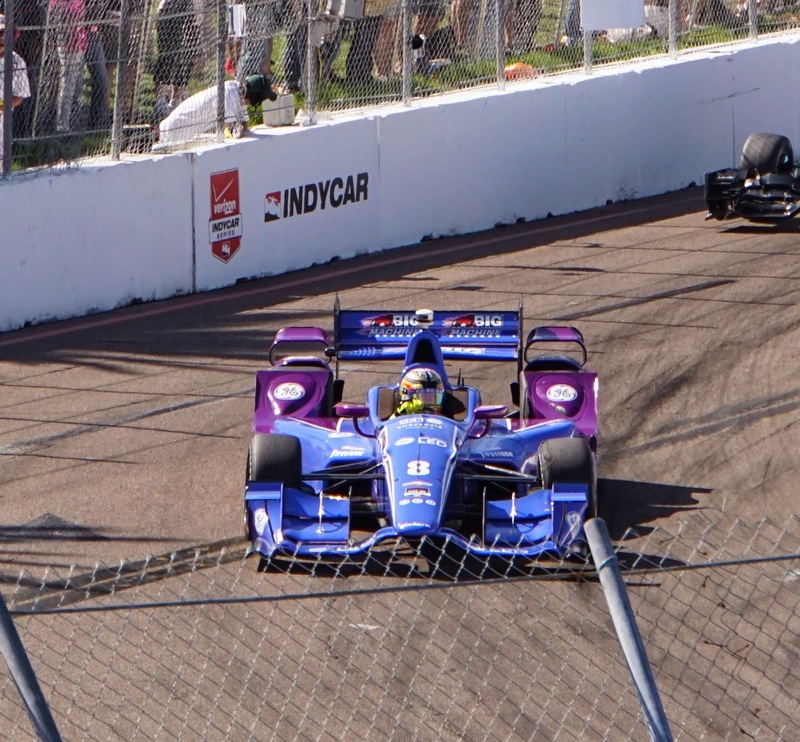 Car Camera Story: Firestone Grand Prix - The Power Is On! 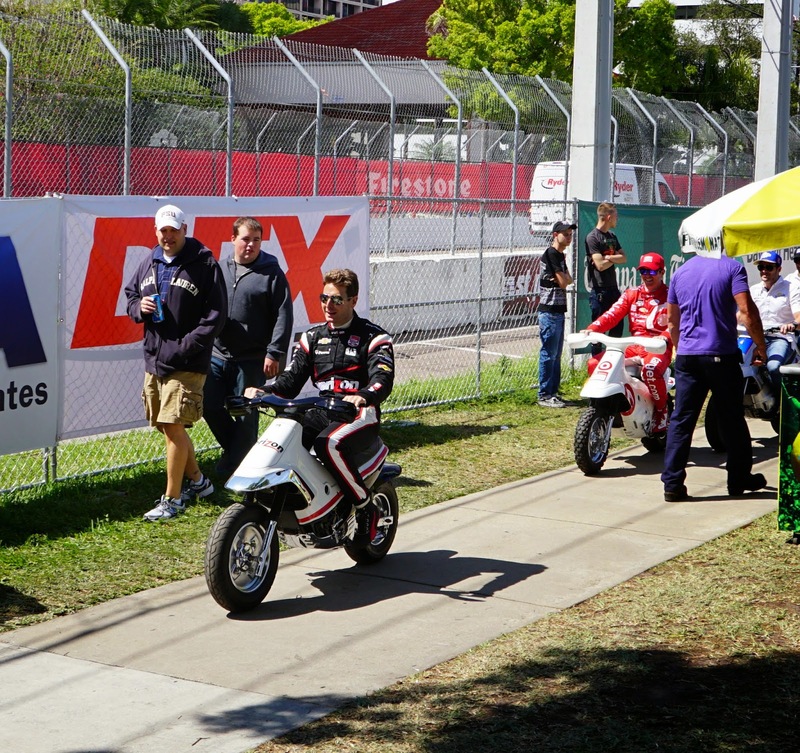 Firestone Grand Prix - The Power Is On! 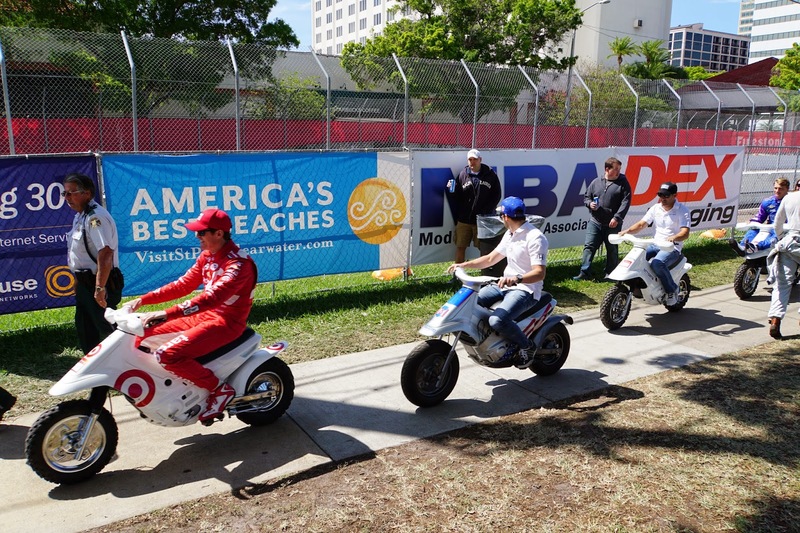 Another pole position for the man that is lighting up the streets of St. Petersburg Florida! Not that St. Petersburg needs to be lit up- it is doing just fine with the nightlife in the beautiful, walkable downtown. 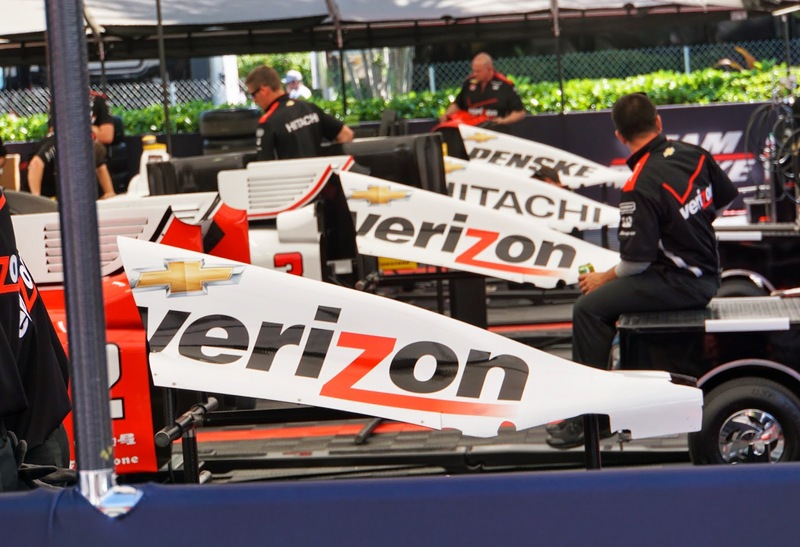 Will Power is making a statement with his pole position, new track record of 1 minute, 0.6509 seconds ( 106.841 mph) and a team Penske sweep of the first four positions. 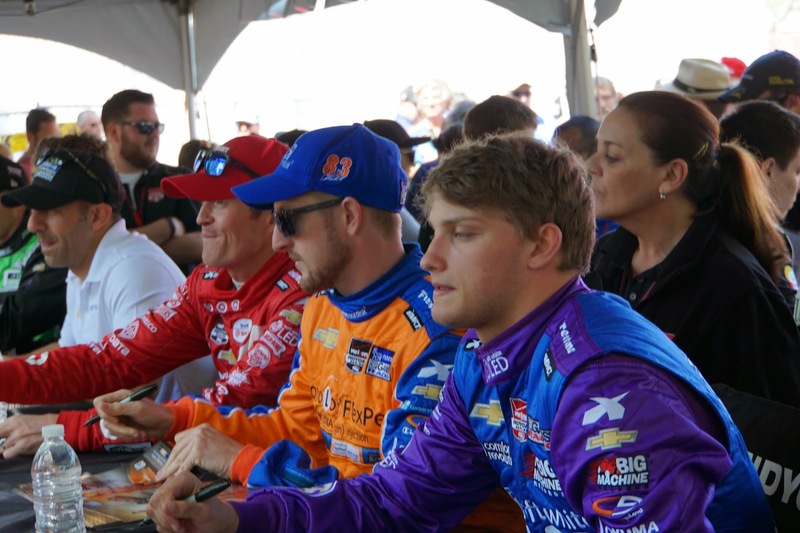 Here's a brief photo look at Saturday's activity, including the autograph session that was a blast. 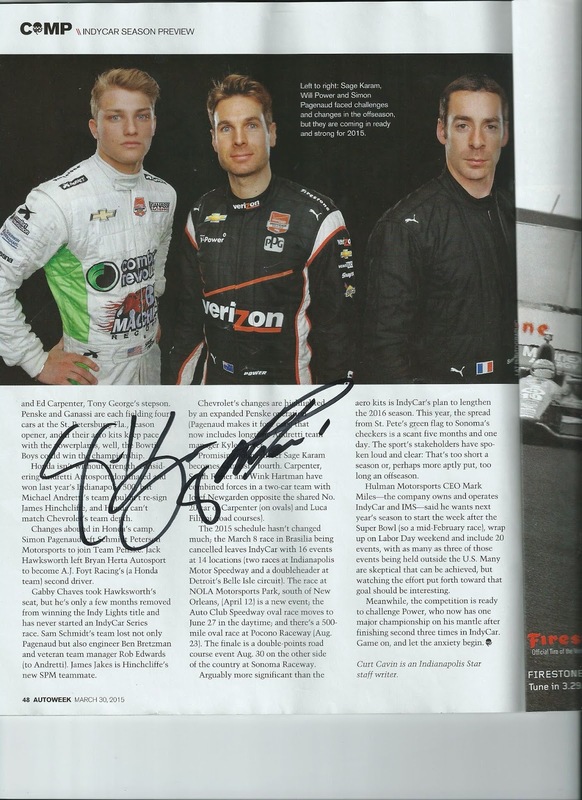 I was fortunate to have my latest Autoweek magazine with me and got two of the three featured driver's to sign it. Will Power- Tomorrow I will Be On Four Wheels! Time To Head to The Track And Get Some More Pictures To Add To This Blog! Look For Updates IN The Next Week!